Breakfast is the most important meal of the day, but when it is brunch, it has to be even better. My personal favourite brunch recipe is poached eggs on tomato and mushroom bed. The goodness of eggs and fusion of delightful flavours that explode as you dunk in the bread is one of the best ways to start the day. After the mixture comes to a bubble, break the eggs one by one. It should be hot enough to poach the eggs. Sprinkle onion greens over it, leaving some of the yellow yolk still exposed, and partially cover with a lid. 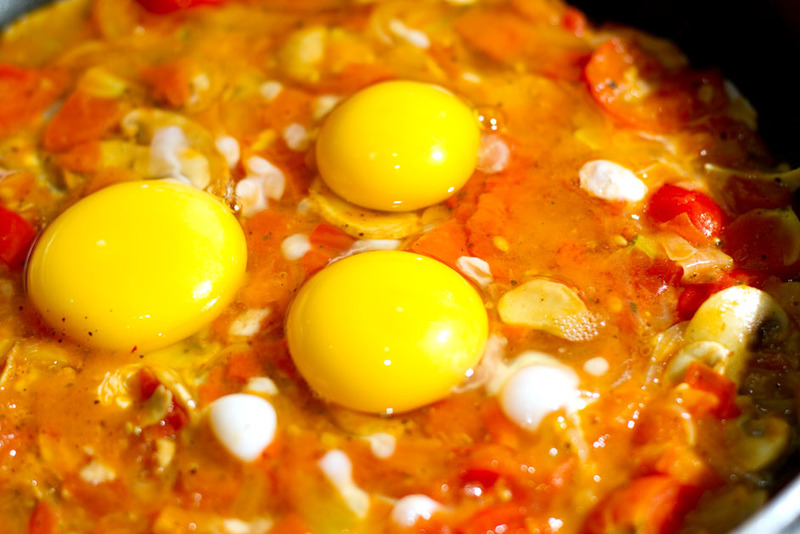 Let it bubble for 5 minutes, by which time the white should be set and the yolk still runny, but keep an eye on it. Remove from the heat and serve with some bread to dunk in. 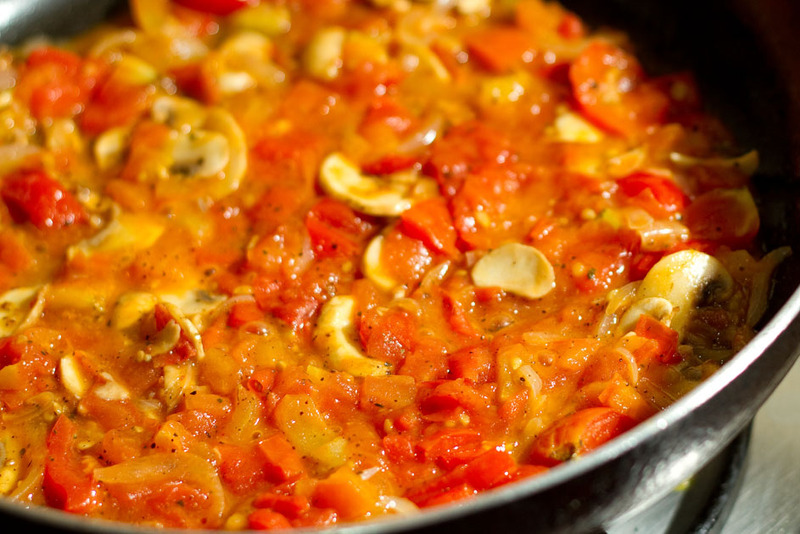 You can vary this dish by flavouring the simple tomato and mushroom bed with whatever you have to hand – curry powder, pesto or fresh herbs. If you are really feeling adventurous go ahead search google for the many variations. The simmering sauce will give delightful flavours. 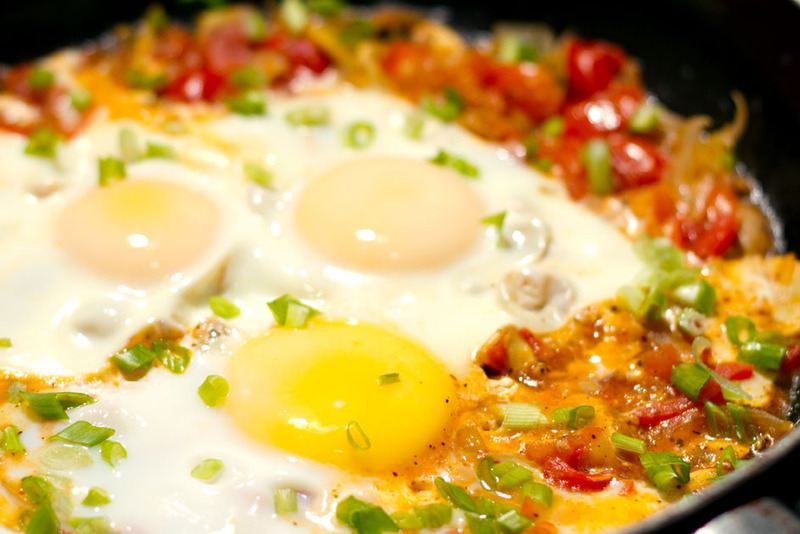 Let the eggs whites set, taking care that the yolk remains runny for a yummy breakfast.